The Austrian weathered an early storm against Federer before prevailing in a manic third set. 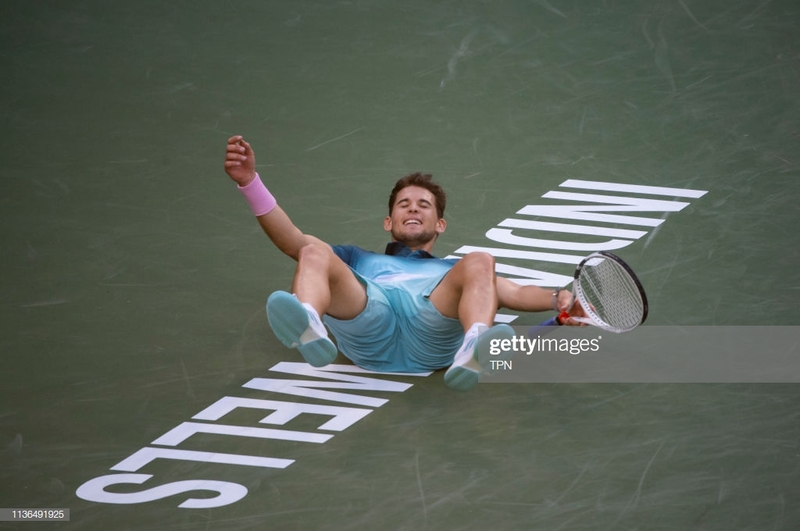 Dominic Thiem mastered an act familiar to so many first-time champions, sinking to the floor in disbelief, arms outstretched, and he had good reason. 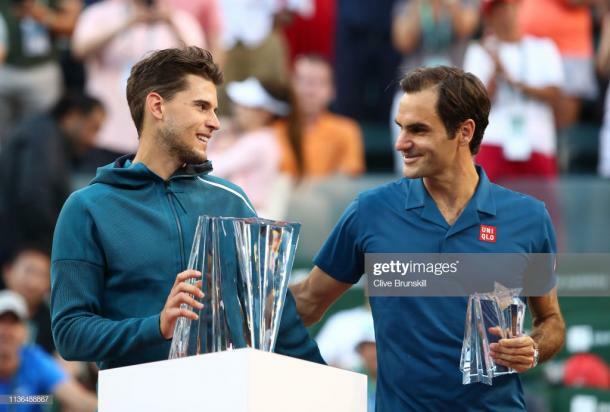 The Austrian, whose hard court prowess is the source of much discussion in the tennis circle, won his maiden Masters 1000 title with a 3-6 6-3 7-5 victory over the five-time BNP Paribas Open champion Roger Federer. The Swiss was seeking immortality in the Californian desert, an unprecedented sixth success, but he unraveled in the latter stages of the deciding set in similar fashion to twelve months ago when Juan Martin del Potro profited to claim his first-ever Masters 1000 crown. Federer owned a break point at 4-4 and he had dropped only four points on serve in the third set as the sun dipped behind Stadium 1. But his conviction was absent, engaging in too few many cross-court exchanges with the powerful Thiem. He was made to pay as the Austrian broke for a 6-5 advantage before closing out victory. "It feels just unreal what happened in these ten days," beamed the 25-year-old after the triumph. "I came from a really bad form in all categories, and now I'm the champion of Indian Wells. "It was a very good match until the end and I had to fight to serve it out." Thiem would be forgiven for thinking he was in for a long afternoon when Federer came out of the traps firing. The Swiss was aggressive from the outset, refusing to allow his opponent to settle, and his position up on the baseline was so consistent it was as if he had glued the soles of his shoes to the white line. He traded breaks with Thiem before edging ahead in the eighth game of the set. His imperious form thus far in California - he had not dropped a set en route to the final - showed few signs of abating as he sealed the opening set in 36 minutes. Federer immediately threatened the Austrian's serve in the second set with the creation of two break points in the third game, but Thiem stood tall and it was to the dismay of the pro-Federer crowd inside Stadium 1 when the Swiss suddenly dropped serve in the very next game. The 25-year-old consolidated the break for a 4-1 lead and he consigned Federer to his first proper setback this week by snatching the second set. The Swiss was flawless in deciding sets this year and he steadied himself during the early exchanges in set three. But Thiem was similarly level-headed and it produced a cagey deciding set where it took until the eighth game to spring into action. That was the start of a frenzied ten minutes when Federer had the trophy in his grasp, allowed it to slip through his fingers, and was hapless in preventing Thiem from snatching personal glory.